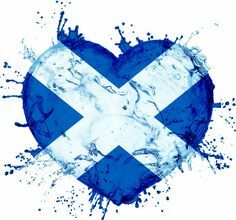 Happy St. Andrew’s Day 2016! It’s St. Andrew’s Day again! 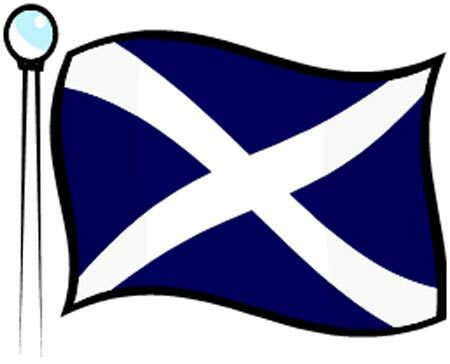 A very happy St. Andrew’s Day to Scottish people in Scotland and all over the world! There, I also briefly mentioned my mission to personify each and ever one of the 50 states too. I decided to make these new (at the time) state characters into their own series, but under the American Boys brand, thus making it a spin-off. I called it The States Show. As mentioned before, The States Show took the act of personifying American places a step further by personifying each state as well as cities, towns and villages. I first decided to draw them all as jelly babies to help me better visualize them as characters (I would later go on to draw them as actual people, which I’ll get to in a later exhibition). A cook at the American Hill Area’s café. Specializing in fried food, she adds spice to the orders of customers who feel they’re brave enough to “feel the heat”. She is concerned about San Francisco, because he usually does not have any money, leading to him stealing from other people. She uses low-fat sunflower oil for cooking, since she worries about the obesity ‘epidemic’. A wizard. Living in a black house in the north of the city, he often disguises himself as a normal person to go on his daily errands, like buying drinks to use in his potions without revealing his ‘magic’ to everyone else. He manifests himself regularly in other people’s dreams, usually casting a benevolent spell on them, but sometimes a dark version of himself appears and casts a curse on the dreamer. His imagination is constantly bursting with ideas and recipes for new spells and potions, and as soon as he wakes up in the morning, he works to make those ideas reality. A man who loves scaring others. He will first hide somewhere such as behind a tree or in a swimming pool, after which he suddenly leaps out at a ‘victim’, shouting “Surprise, surprise! It’s Trenton!” This often results in the ‘victim’ fainting and having to be carted away to hospital, where they quickly regain consciousness. He likes to jump on unsuspecting shoppers to frisk them out for his favorite food, then dashing off with it and a smattering of satisfaction. A man who loves spicy food. He tries out a new kind of spicy delicacy every day at the House of Spice restaurant, drinking so much liquids afterwards that he has to use the bathroom several times. At the Annual Beach Barbecue event, he will often try to sneak in some chili powder to sprinkle onto the meat, but he then gets found out and booted from the barbecue, leading to him dragging himself around the city in rejection and dejection. He likes to crack open bottles of hot pepper sauce while at the grocery store to quickly pour a drizzling of some into his mouth before he gets caught and reported to the police. A ‘member’ of the ever-growing Mexican Club. Wearing a sombrero decorated with tiny beads, he listens out for the guitar at sunrise, signalling him to rush down to the sitting room to meet his ‘colleagues’. Sometimes he madly plays his maracas and guitar while singing nonsense songs, which can carry on late into the night and disturb people living nearby. He has a tendency to jump on beds when he becomes excited, breaking the wooden support frames and leaving the others unable to sleep because of the loud creaking noises of the cracked wood. A partly-sighted 25-year-old man. He wears a patch on his left eye, and he has to ask for something if he needs it by pointing at it and grunting. He often crashes into and knocks things over while trying to find his way around, which can get him into deep trouble if it is something particularly valuable or large. He frequently meets up with other people who have disabilities of various kinds at his neighborhood leisure center for a community swim session. Sadly, this is the last ‘generation’ that I have of the American Boys characters for now, since all the others I drew got lost on a bus in a rucksack I used to always carry around with me. I did not scan them in beforehand as I didn’t have a good working scanner at the time, so where they are now will always be a mystery. A City of America Council delegate. He sits beside the mayor Houston at every council meeting, and he specializes in catering to the needs of people with disabilities and the homeless. He provides a pest control service to homes which are prone to invasion by mice, rats, birds and cats. Sometimes he makes speeches on Houston’s behalf, but he will still speak on the same subjects that Houston does. A gemstone maniac. He makes regular trips to the beach to collect sea glass stones in different colors and shapes, and he picks fake gems off clothes which he finds at thrift stores. He often steals jewelry off other people and displays them in his bedroom, feeling proud. He has a book which contains facts and photos of many types of gemstones and other rocks. A gardener. As a child, he was fascinated by plants, and he would frequently clip the gardening pages from magazines and newspapers to stick into his gardening scrapbook. He grows a rainbow of fruits and vegetables, entering the best of his crop into the annual citywide gardening show – he once won the ultimate prize for a carrot he’d grown because of its bright orange skin and emerald-green top. He has a collection of seeds in his tote bag to carry around with him so he can quickly work on growing new plants. A sauce addict. He keeps a range of sauces in his pantry, eating tomato, barbecue, chili, mustard and mayonnaise with savory food, and strawberry, chocolate, toffee and butterscotch with sweet. He likes to make his own sauces when his parents aren’t looking by blending two or more sauces together in his food processor and tasting the result. He often gets caught when his parents find out about what he’s doing with their sauces. A wire sculptor. She loves fairies, and she likes to sprinkle glitter onto her finished masterpieces to give them a ‘magical’ touch. People who buy her crafts often meet up with her and tell her that the sculptures came to life overnight, changing their lives in an amazing way. She owns a lot of fairy-themed jewelry, wearing a different piece every day, such as a brooch or necklace. A 13-year-old boy who is very religious. He goes to the same school as his friend San Clemente, and he loves to sing hymns such as “Gather, gather ’round his table” and “Sing hosanna!” He often tells San Clemente to punch or kick someone and he will then sing a hymn, and he cracks religious jokes in Humanities class. He gets new hymns to sing from the Hymns Old & New book at his neighborhood church. Oakland’s friend. He meets up with him every morning at the bus stop on the way to school, and he hurts other students when Oakland tells him to do so to sing a hymn. When he is in the school library, he will pick out one of the Humanities revision books and read through them to find a new hymn or psalm for Oakland to recite, writing them down on notepaper to fold up and store in his pocket for later. He frequently messes around with the school’s PA system, holding regular ‘Hymns of the Day’ throughout the school routine. Oakland and San Clemente’s Humanities teacher. Constantly keeping close watch over them, he will perk up if he hears them cracking religious jokes. At church, he becomes angry if they find new hymns in the hymn book and sing them out loud so it disturbs the church-goers and the priest. He frequently reads religious magazines such as the American Messenger. A young woman who suffers from chronic stress. The mother of her child Madisonville, she feels that she never has any free time to herself due to her hectic schedule. She has frequent headaches because of her stress, and sometimes they are so severely splitting that she just wants to lie down and sleep. She is a member of her local leisure center’s Anti-Stress Club, which she often visits to take part in activities such as swimming and working out in the gym while Madisonville plays in the children’s creche. Madison’s young child. She habitually dribbles all over herself, and she has a red question mark-shaped incision on her left thigh, which she made by dragging the sharp point of a bottle opener along the skin. She likes to ‘experiment’ with Madison’s make-up and climb over the stair gates when they are in use. Her favorite food is chocolate and toffee pudding, and she squeals with delight when she finishes her dinner, because she knows her mother is going to give her dessert. The lead cook at the American Delicacies diner. He makes up new recipes to add the the menu every day, and he then asks the other cooks to prepare an order if someone asks for a certain dish. He gets irritated if somebody sneaks into the kitchen and tampers with the recipes, as it often results in his customers falling ill. When he can’t think up a new concoction of his own creation, he refers to the American Kitchen magazine to use recipes which cooks from other restaurants have invented. A famous singer. He plays gigs at many nightclubs throughout the city, like the Blue Turtle and Four Leafed Clover, and he sometimes embarks on citywide tours. He sometimes gets ganged up on by people who don’t know him, or who think he is an ‘entertainer gone mad’. He has a fan page where people post their photos with him, write comments on him and his music, and read his biography. A pizza chef. He always starts off with one of the original ‘House Flour’ pizza dough circles, applying some tomato sauce and grated mozzarella cheese, and then whichever toppings his customers want, such as pepperoni, mushrooms or olives. Sometimes the pizza house runs special promotions which are only on for one month, so he makes special pizzas with a different sauce as the base, like barbecue or soured cream. He is a big fan of pizzas himself, and he will often sneak himself a slice of one of the freshly-baked pizzas from the oven when the other chefs aren’t looking. A woman who regularly visits the American Hill Area. She loves to explore every part of the play area and she buys her own food and drinks from the café, unlike San Francisco who nearly always stays on the third floor and steals from other people. She places spare bills and coins into the moneybox at the entrance, which is shaped like a bright blue jelly baby with a matching-color spade symbol on its belly. She appears in a couple of photos and a newspaper clipping about the American Hill Area pinned to the noticeboard. A young man who wishes to kill himself. He tries covering his head and face with plastic bags and lets criminals stab him with a knife or shoot him, but he seemingly feels no pain at all. He also tries to drown himself in the swimming pool or the ocean, throws himself off buildings and electrocutes himself, whether by sticking his fingers or other objects into plug sockets or strapping himself into an electric chair, but he never succeeds in dying. He is dubbed the ‘second New Orleans’ of the city due to his apparent supernatural abilities and traits.